Puppy teething toys can provide hours of play for your pup, while simultaneously soothing his gums and encouraging healthy dental development. The very best ones do all of this safely, without putting his health at risk by exposing him to hazardous chemicals and toxins, or through dangerous designs/construction. When little Rascal is teething he has an insatiable desire to chew - because Mother Nature knew this would reduce his discomfort and stress, as well as keeping the teething process on track. As these toys are going to spend a good percentage of their lives in your puppy's mouth it makes sense to choose the safest ones possible. Avoiding chemicals and toxins as far as is possible is just common sense, and examining toys for potential choking hazards, break-ability, loose parts etc. is also necessary. Puppies (even adult puppies!) LOVE soft, stuffed toys, but very few of them are durable enough to be left alone with your little Rascal for long. BUT that doesn't mean your shouldn't be able to enjoy a soft/stuffed toy. Pick out soft toys which have reinforced, or double stitched, seams. Stuffingless toys are safer than stuffed ones. Squeakers need to be watched for and removed as soon as they see the light of day. 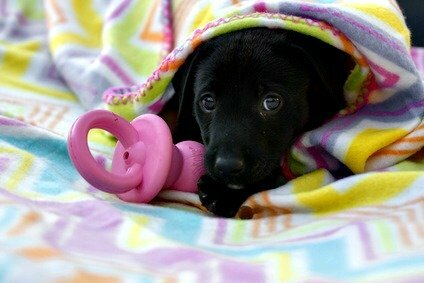 Avoid toys with 'add ons' such as eyes, noses, collars etc. They will be removed quickly, and are then a choking hazard. The same goes for poorly attached legs, arms of other appendages. 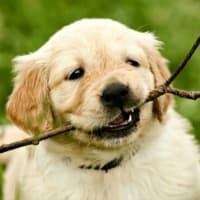 To make life easier for you, I've put together a selection of the best puppy teething toys around on this page. Most of them use natural, non-toxic materials. All of them will help to give your little Rascal the relief his little gums need, and encourage correct and healthy dental development. Teething toys for puppies should be durable and strong, but they don't need to be all-but-indestructible unless you own a large or giant-breed pup. Here are a whole slew of my favorite non-toxic chew toys for teething puppies. West Paw Design's Zogoflex Hurley is a great toy for teething puppies because it's super durable and is soft, yet firm enough for tender gums. A quality, FDA compliant toy which is made in the USA from a safe and non-toxic material which is latex-free as well as BPA-and-Phthalate-free. Dishwasher safe for easy clean up. Recyclable. 100% guaranteed.. if your pup destroys his Hurley, send it back and the manufacturer will replace or refund your purchase! There are more tons of different toy designs in the West Paw range to choose from too. Planet Dog's incredibly durable toys include the Orbee Tuff Astro... because every puppy loves a ball to play with. Another non-toxic, FDA compliant, USA-made toy which is free from BPA and Phthalates and recyclable, this ball is as eco-friendly as it is durable and fun. With it's irregular surface, bouncy-ness, floaty-ness and hint of mint flavoring (natural mint oil), the Astro is bound to be a hit with your little Rascal. Manufacturers guarantee will provide you with a replacement product if you're not 100% satisfied with your purchase. Additional Planet Dog designs available with the same great standards. The BallBoy Why-Not? is a sturdy rope toy made from from 100% natural Hemp rope. Puppies and dogs of all ages love chewing on rope toys, and this one contains no artificial dyes, scents or bleaches, making it totally safe as well as fun. The rope's texture helps keep gums and teeth healthy and clean too. Great for interactive play, or supervised chew sessions, but be careful about leaving your puppy unattended with any rope or stuffed toy. Even the toughest ones can unravel, or be un-stuffed, in a short space of time, which could be dangerous. Split, Naturally-shed Elk Antlers by Buck Bone Organics are totally natural, healthy, chew toys which are ideal for teething puppies. The split antler gives your little Rascal a softer chewing experience when compared to whole antlers and also gives him access to the tasty bone marrow. Antlers provide essential minerals such as calcium, phosphorous, manganese and zinc. They're the ideal, natural eco-friendly chew toy you've been looking for. Available in small, medium and large sizes. I prefer to buy the large size for puppies (unless they're a tiny/toy breed) as they seem to be tastier and provide more play value than the smaller ones. The IQ Treat Ball is an interactive chew toy which is designed to keep teething puppies busy and happy. Made from durable, flexible, non-toxic BPA-free rubber this ball has spiky grooves to hold treats or kibble. The center can be filled with peanut butter or a dog treat paste and frozen before you add the treats. When you combine bouncy, chewy rubber and tasty rewards it's a win-win in Rascal's eyes! The StoneBone is designed to provide the natural, organic bio-minerals found in stones/rocks (which many puppies love to chew on). Made from FDA approved, food grade Nylon which is 100% free of toxins and heavy metals and contains no sulfuric acid. It's a fairly hard toy with no 'give' in it (not surprising as it's supposed to mimic stone!) but it won't splinter, break or crumble. Also won't cause your puppy's gums to bleed or teeth to break.. which can happen if he chews on REAL rocks. Available in a few different 'flavors' including an original Natural Mineral, Peanut Butter, Savory Chicken, Savory Beef, Roasted Turkey, Watermelon and Turf Grass. The Barkworthies Root Chew is an all natural toy made from the Araack tree (aka Peelu, Siwak and Salvadora Persica tree). The root of this tree has been used by people in Africa and the Middle East to clean and strengthen teeth, and freshen breath for thousands of years. Now your puppy can get these benefits too! Chemical and additive free. 100% Organic. Kong's Wild Antler Toy combines two of your puppy's favorite toys.. a rope and natural antler, it's a win-win! Grade A, naturally shed Elk antler, threaded onto sturdy rope gives little Rascal a long-lasting, tasty chew toy. 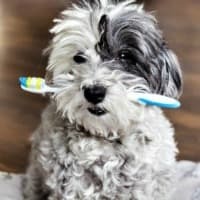 This combination keeps your pup's teeth clean, and his gums healthy. The antlers are also a source of valuable minerals. Especially suitable for smaller puppies and small breed dogs. For large breed puppies and older dogs, choose the bigger, more durable option here... KONG Wild Antler Chew (available in S/M and L/XL). Simply Fido's Organic Plush Lolly Lamb is a toxin-free soft toy that your little Rascal will love. Made from certified organic cotton and using a chemical free, low eco impact dye process, this little lamb (and her other Simply Fido organic plush friends) are one of the most toxin-free stuffed toys on the market. However, it's not a super-durable toy and isn't meant for sustained, or unsupervised, chewing. Most puppies LOVE stuffed toys so I buy them for them and take the hit to my wallet when they don't last long. I also supervise playtime closely. If you want to let Rascal enjoy a soft toy, this range is a good choice, especially for smaller-breed puppies. Lead - found in many kinds of toys including some tennis balls. Causes lead poisoning which can be fatal. Unfortunately you won't see these nasties on the product label, they're invisible and undocumented poisons. There aren't any clear guidelines to, or even an understanding of, what levels of any of these (and other poisons/chemicals) is considered to be too much, or toxic for dogs. Smaller breeds and puppies are at more risk than larger breeds and adult dogs, because it takes less of a toxin to cause problems for them. The best way to protect your Rascal is to look for USA-made puppy teething toys which are specifically labelled as non-toxic, phthalate free, BPA free and so on. Also, well-known responsible USA-based manufacturers generally produce safer toys due to better testing criteria and materials. Toys from China and other similar overseas manufacturers are, in my opinion, riskier and I would suggest avoiding those. 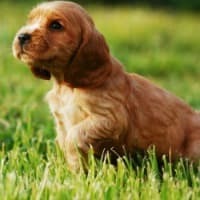 A certain number of pet products which have been tested by The Ecology Center for are listed on the Healthy Stuff Archived Pet Supply Data page. There are many good quality puppy teething toys which don't claim to be 100% non toxic, but which still do a wonderful job of supplying the pressure, or cold temperatures, which are so soothing to hot little puppy gums. Personally we use these, sparingly, and haven't had any problems doing so. Here are some of my favorite, stand-by toys that fit this category, made by popular manufacturers such as Kong, Nylabone and Petstages . Although they're not totally non-toxic as the toys featured earlier on this page, I certainly don't consider any of them dangerous and my dogs and puppies have chewed on them happily with no ill effects whatsoever. A classic, and my all-time 'go-to' chew toy for puppies and dogs of all ages. KONG toys undergo rigorous testing for safety and are super durable. Original Kong is made from firm, durable natural rubber and is great for large breed puppies and dogs of all ages. 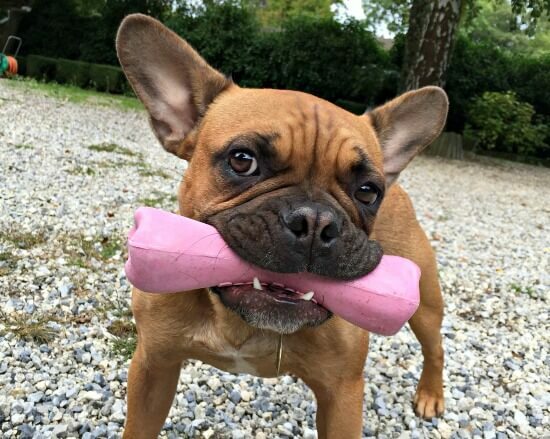 Puppy Kongs are manufactured using a softer teething-rubber formula which is softer on little gums and is great for all puppies, especially small to medium sized breeds. Kong toys are veterinarian and trainer recommended worldwide. Nylabone chew toys come in a HUGE variety of shapes, sizes, designs and flavors. There's literally one for every puppy, and dog. Here are a few of the Nylabone toys that I've always used for teething puppies, because they're safe, durable and always popular with the little ones. PetStages make loads of different puppy teething toys, from a variety of materials. The Orka range are manufactured from bouncy, floaty, non-toxic, synthetic rubber which is just the right texture and firmness for encouraging healthy tooth development in puppies. Many of PetStages puppy chew toys are fantastic for small, toy and tiny breeds because of their size and construction. Mini-Orka's included. A recent addition to the range includes 'Newhide' toys which are a safe alternative to rawhide. Made from a lead and phthalate free material, impregnated with the rawhide smell dogs love. Other chew toy designs include a combination of fabric, rope, rubber and textured elements to keep your little Rascal interested and engaged.